The business profession is a volatile domain. But when it comes to legal outsourcing to India, there is a perpetual sense of growth in market share as the present situation stands. Being a developing country, India is notoriously looked down upon for lagging behind in every socio-economic aspect. However the low standard of living has nothing to do with the reputation of India as a trustworthy place in contracting out a legal assignment completely or in part and this burning truth is already preached to many legal corporations in UK and USA as the foot smaller firms there are also following the large city-based firms’ strategy to provision works to the major far away country in sub-continent. There is always an inherent risk in off-shoring serious business like legal services. Even taking all other things being equal, law professionals dread the legal outsourcing option for a series of challenges like language obstacle, time zone difference, client comfort and an overall threat of data protection concerns. However, in the wake of an economic meltdown, the law firms irrespective of its market shares have shifted their outsourcing preferences from domestic corporations to overseas vendors. An economic downturn, in a way, is a boon in the guise of a bane for the promising law graduates in Asia and non-European and non-USA countries. Move back a decade or so en route history and one would find a gaping void in the legal outsourcing market of today’s leaders e.g. India. Overcoming the primary skepticism regarding quality deficiency, the LPO share by the Asian vendors now commands $440 million out of the estimated $400 billion USD legal market. Although it is a meager 0.1%, Value Notes, an Indian consultancy group, puts it that India alone will notch up mind-boggling $1.6 billion revenue in 2014. When it comes to business, there is no place for bias. The US or European firms’ general counsels are no-brainers that they will just flow away with a Mexican wave of ‘Legal outsourcing India’ trend. Albeit testified in sectors like IT, call centers, bank offices, the brand Legal outsourcing India was not an instant hit as the market revenue in 2006 was around $1.6 million soon after its inception. The country has a favorable time zone position as the time differential between India and US stands at 12 hours due to which efficient attorneys here can work in the dead of night in US and firms there would reap the benefit by submitting the task in morning developing better client relationships. 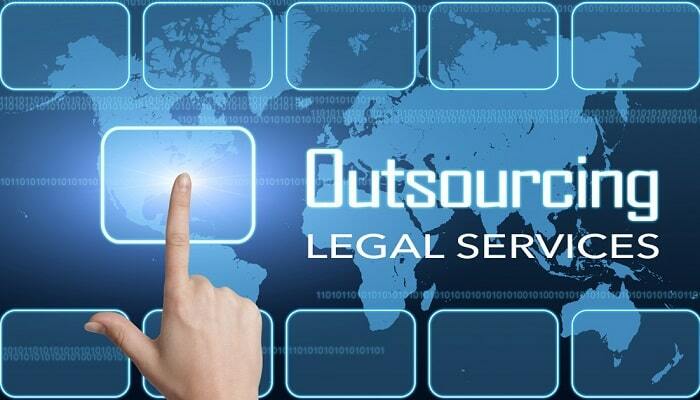 The leverage in revenue gain by the market position of legal outsourcing India is mainly for skillful law trainees nurtured by Legal Support World and other agencies. The company offers a two-step training regime. First, the apprentices undergo an all-embracive program in all technical and soft skills by market doyens and then are pitched towards assignment centric training ensuring a client-specific outcome. Legal Support World is renowned for its legal expertise in every area of law consultancy. Our mantra is to address every detail of client’s requirement and we always strive to achieve client’s satisfaction.